Our student Andreas received an offer from Haileybury for 11+ with an academic scholarship. We are very happy for the success of our student Andreas, who got an academic scholarship for Haileybury School. Andreas excelled at his school in Cyprus, where many subjects were taught in English. He is fluent in both Greek and Russian and is very good at Fine Art. However, the academic diagnostic testing, organised by UK Study Centre half a year before the exams, showed that Andreas is about a year behind in Maths, as school curricula in Cyprus and the UK are very different. In most of his 11+ pre-tests, Andreas could only score less than 50%. 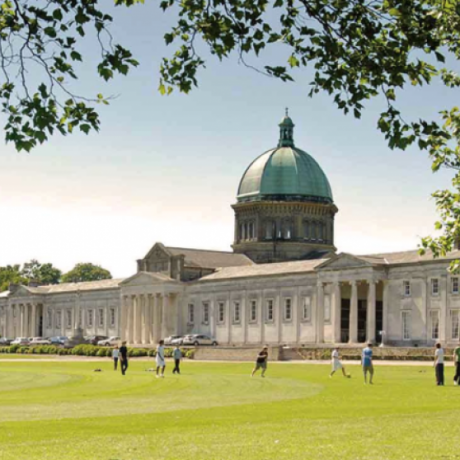 Andreas’ parents completely changed the focus of their son’s preparation for the test, and Andreas covered all the necessary material for Maths, verbal and non-verbal reasoning using the test books UK Study Centre had provided to get into Haileybury. Andreas does not want to stop at this and is trying to get into stronger schools, such as Sevenoaks or Wellington, for his 13+.